The special event station W7C will be operated April 14, 2018 at the Willow Creek Boy Scout Invitational Camp, 14 miles north of Emmett, Idaho on the west side of Squaw Butte or approximately 35 miles northwest of Boise, Idaho. Operated by Hoot Gibson, KB7RBX, this HF and VHF special event station will demonstrate Amateur Radio to over 300 Boy Scouts, Venturers, Webelos, Cub Scouts and Civil Air Patrol Cadets as part of a demonstration area including Civil War Reenactors, Smokejumpers from the McCall USFS base, a blacksmith and much more. The demo area is one of 10 stations the participants rotate through on Saturday as part of the competition, which also includes fire building, Scout knowledge, marksmanship, first aid, flag etiquette and more. I’ve updated the Boise DMR MotoTRBO codeplugs for popular radios and fixed a zone naming issue. Old codeplugs have been moved in to the Old Codeplugs folder. Right click to save as – these are NOT working in Microsoft Edge browser for some reason. Also available is the 450-512 MHz split to Amateur conversion file in case you have a high split radio. READING the radio with this codeplug will reset it back to the factory split – just write and save, using the saved file moving forward. We’ve updated the codeplugs for the Boise WA7GSK DMR repeater just in time for Christmas! As always, make sure you CHANGE YOUR SUBSCRIBER ID before you get on the air! You can get your very own sub ID from DMR-MARC here. Happy Holidays and 73 from AJ, K6LOR and the group at Valley Wide REACT! The WA7GSK Boise DMR/MotoTRBO repeater changed from DMR-MARC to BrandMeister this week. Please update your codeplugs! Boise, Idaho DMR/MotoTRBO Amateur Repeater Codeplugs! Categories: DMR, Repeaters Comments Off on Boise, Idaho DMR/MotoTRBO Amateur Repeater Codeplugs! Boise’s DMR repeater has been busy with chatter the last few days since it came back online. Thanks again to Al, WA7GSK, Fred KE7FIX and the group at Gem State Communications for bringing it back on to the DMR MARC network! Connect Systems has brought down the price on the MD380 UHF handheld clear down to $110! Incredible value to get on digital voice and talk to the world. As I write this post, I’m QSOing with a station in Nova Scotia and New Zealand 🙂 You can buy an MD380 here. The radio IDs have been defaulted to “1” in each codeplug and will need to be changed prior to accessing the network. Watch the C-Bridge live here! Interested in more info? Email me directly at k6lor AT vwreact DOT org or catch me on the 444.075+ DMR repeater on Local Color Code 1 Timeslot 2 Talkgroup 2 🙂 I’m also typically monitoring the 146.780-/444.725+ repeater network. New DMR/MotoTRBO Repeater in the Boise Valley! Categories: DMR Comments Off on New DMR/MotoTRBO Repeater in the Boise Valley! Many thanks to the crew at Gem State Communications for bringing online the state’s first DMR repeater! Codeplugs and information added here! Happy New Year! It’s going to be a very busy year for VWR. Your help is needed to make the events we support go smoothly. Volunteer now! On the topic of repeaters, DMR aka MotoTRBO had a very big year in 2014, with 3 times as many active repeaters on DMR-MARC as there were in 2013. We are working together to find the best solution that will serve the community. If you are interested in DMR aka MotoTRBO, please contact me at aj.grantham at gmail dot com! Sorry for the downtime everyone! The domain name that this site’s DNS points to expired a couple days ago and I thought it was set up to automatically renew. Oddly enough it wasn’t. So when it expired, the private NS entries dropped out and hosed several other sites. We’re back up! Major thanks to everyone that came out this morning to assist on Fit One 2014 put on by the folks at St Luke’s. No major issues and things ran pretty smoothly. This year the organizers were on DMR rental radios (Motorola MotoTRBO XPR6550s) so we were only able to communicate with them using the one spare radio they had. In years past they’ve been on analog narrowband UHF that we were able to communicate directly with. Major improvement over last year as logistics was on simplex and medical was on the only repeater. This year both medical and logistics were on the repeater (different timeslots). Project Preparedness 2014 is in the funding stage at this point with a bench launch planned for Winter 2014. The network will consist of 8 DMR repeaters covering from Twin Falls, Idaho to Vale, Oregon and extending to New Meadows south to Jordan Valley. This all digital two way radio network is open to anyone with an FCC issued Amateur Radio license, a DMR handheld or mobile radio and a desire to help their community. DMR is a natural migration from traditional analog wideband communications and allows for greater spectrum use with limited infrastructure. 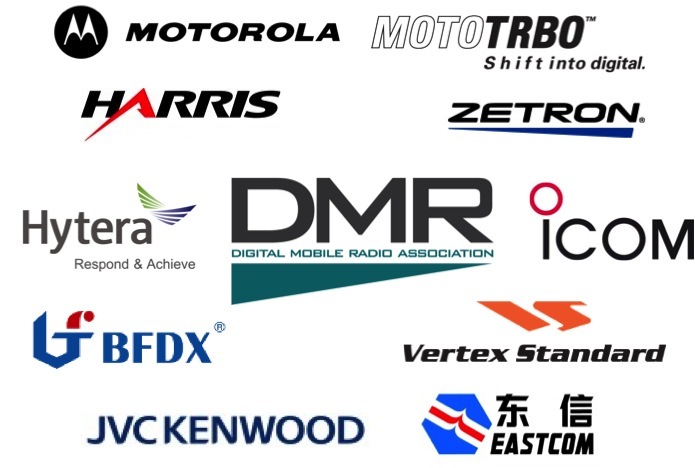 DMR is vendor neutral – no one is locked in to only using one particular brand of radio like Icom’s DSTAR product and has a GPS location mapping element built in to the ETSI international standard. If you are interested in more information about Valleywide REACT’s DMR plans or to get involved in DMR in your community, feel free to email AJ Grantham, K6LOR at his callsign at ARRL dot net. We’re putting together a Field Day team for June 28-29 with set up starting after 5 pm on Friday June 27. This will be at a location in south Caldwell. Email me if you are interested or call me directly.